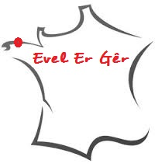 L’Escale Evel Er Gêr, a guest house and restaurant, is located in the heart of the bay of Locquirec. Locquirec popular seaside resort is located 20 minutes from the RN 12. The Atlantic TGV connects Paris to Morlaix in just 3:03. There is a bus connection from Morlaix train station (line 30) which leaves you after 35 minutes in front of the guest house Evel Er Gêr. (stop at the bottom of the bay).